Playmaker Help / Re: Terrain holes. Playmaker Help / Re: How to have prefabs reference game objects without global variables? General Discussion / Re: In-built Visual Scripting in Unity 2019 ? Of course Bolt and Unity built in Visual Scripting is perfect for professional programmers to illustrate to proponents of visual scripting just how long it can take to wire up a bunch of confusing nodes into what ends up as about 7 lines of dead simple code that could be typed up in under a minute. Playmaker is different,it`s not a visual scripting tool, i mean it`s more like script snippet that allow user make custom actions,inspectors. In the playmaker editor windows on the bottom right there is a preferences button. 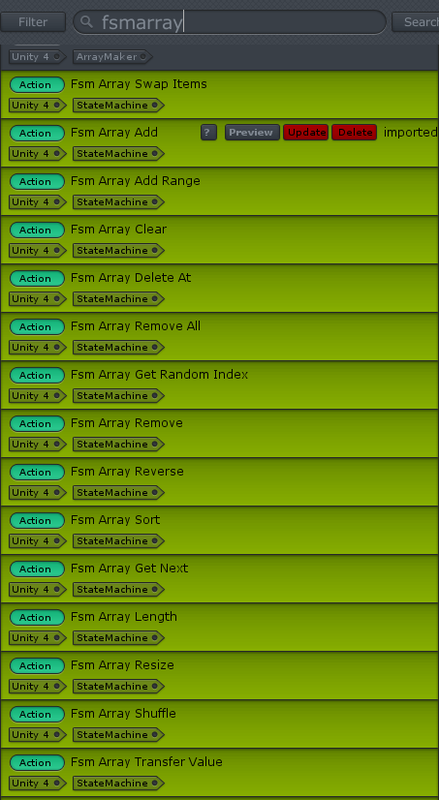 what version of Unity are you using, and what version of PlayMaker? Well, im using 2018.1.9f2 and 2018.2.11f1, playmaker verson is the lastest verson that import from assetstore. cant create template in .net 4, does anyone have this problem?